As you know, I treat a lot of patients with gastrointestinal issues. Two of the most challenging conditions to treat are methane-predominant SIBO and constipation-predominant IBS. Join me as I talk with Dr. Kenneth Brown, a practicing physician and clinical researcher who has been specializing in treating these conditions for the past 15 years. We discuss the drawbacks of existing treatments and a new product that Dr. Brown has developed, called Atrantil. Chris Kresser: Hey, everybody, it’s Chris Kresser. Welcome to another episode of Revolution Health Radio. This week, I’m going to be talking with Dr. Kenneth Brown. He received his medical degree from the University of Nebraska Medical School and completed his fellowship in gastroenterology in San Antonio, Texas. He’s a board-certified gastroenterologist and has been in practice for the past 15 years with the clinical focus on inflammatory bowel disease and irritable bowel syndrome, or IBS. For the past 10 years, he’s been doing clinical research for various pharmacologic companies. It was during these years that he saw the unmet need for something natural that could help his IBS patients. He had been working on a development of Atrantil for the past six years and officially launched Atrantil one year ago. He developed this product with the intent of helping those suffering from the symptoms of IBS, which we now know are caused by bacterial overgrowth. So, I reached out to Dr. Brown because we started to use Atrantil in our practice, at California Center for Functional Medicine, and had some good results with it, and there definitely is a lack of treatments that are effective and safe to use over the long term for SIBO in general, but particularly for methane-predominant SIBO and also for constipation-predominant IBS. And when I learned about Atrantil and Dr. Brown’s work here and the research he has done on it so far, I wanted have him on the show to talk about it further. So without further ado, let’s dive in. Chris Kresser: Dr. Brown, thanks so much for joining us. It’s a pleasure to have you here. Dr. Kenneth Brown: Oh, Chris, thank you so much for having me on your show. 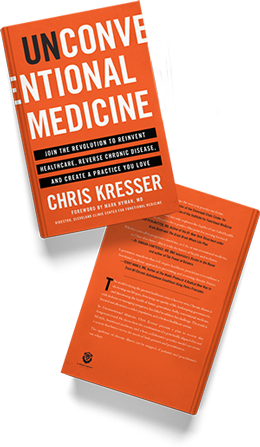 Chris Kresser: So I thought we could just start up with a little bit about your background and what led you into research on SIBO and IBS, particularly constipation-predominant IBS. Dr. Brown: Yeah, so I’m actually a practicing gastroenterologist in the Dallas, Texas, area, and I’ve been doing clinical research for the last 10 years as well. This all kind of started when we were doing research for Salix at the time, on Xifaxan, and I think you’ve had, Dr. Pimentel was a guest on your show, and that’s when he and I came in contact and we were trying to help fill their study, and that’s when he noted that SIBO would be a really big problem, and it’s a very exciting time to be involved with it. He demonstrated with rat models at that time the difficulty it would be to get rid of bloating and constipation in all those people that actually have nothing, and the way that they were going really was not going to work with just the Xifaxan. So it was literally 10 years ago where I was like, “Wow!” So if we could figure out the methane aspect of this, we would really be onto something really cool and that’s initially where all the ideas kind of started. Chris Kresser: Great. So, I’m going to step back just for my listeners who aren’t as familiar with all the terms we’re throwing around here, but many of you have been listening to the show for a while and know about SIBO, small intestinal bacterial overgrowth. You know that the small intestine normally shouldn’t have much bacteria, but occasionally it will become overgrown with bacteria, and that bacteria can produce hydrogen or some of the species of organisms which can produce methane. So, when you have SIBO, you can have a SIBO that’s hydrogen predominant, meaning you have mostly bacteria that are producing hydrogen, or you can have SIBO that is methane predominant, where you have mostly organisms that are producing methane gas, or you can have both, and they tend to present with different symptoms and they require different treatments. And so, part of the challenge here has been that the most effective treatment has been rifaximin [brand name Xifaxan], which is a drug that’s used to treat primarily hydrogen-predominant SIBO, and I think, if I remember off the top of my head, the efficacy of rifaximin for treating methane-predominant SIBO is only about 40 to 45 percent used, when it’s used alone. Does that match with your recollection, Dr. Brown? Dr. Brown: Well, I think it’s a little bit less than that, actually. In their target studies that they just got published, they are 41 percent for the diarrhea predominant, which is how they got their FDA approval, and so we know that it’s a little bit less or significantly less when used alone for methane. Chris Kresser: Wow. Yeah, that’s not very effective at all. Dr. Brown: Yeah, so that’s actually why I’m treating all these people and they’re so frustrated. As a gastroenterologist, I’m frustrated. As a patient, they’re frustrated, and that’s why we really started doing some of the research on this. 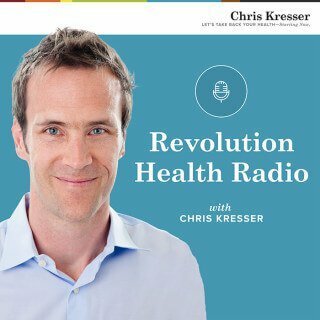 Chris Kresser: So, let’s talk a little bit about some of the other treatments for IBS-C and why they are lacking and why they haven’t been effective, because people are typically—a conventional gastroenterologist isn’t even necessarily prescribing rifaximin, they’re using other medications as a first line for this, right? Dr. Brown: Correct. So, I see a lot of people that tend to fail other things, and one of the biggest issues is that almost everything out there is some form of laxative. Everybody’s focusing on colon, and you’re way ahead of the curve that already realizing that there’s a lot going on in the small bowel but needs to be addressed. But a lot of times, people say, “Oh, you’re bloated and constipated. Here, take this …” And so there’s lubiprostone, which is Amitiza. We’ve got Linzess out there. There’s a new one called Plecanatide, which is coming out. These all can help people go to the restroom, but they still feel very bloated and distended and have an “uncomfortableness,” so they get very frustrated with that. Chris Kresser: And they’re not really addressing the underlying cause of the problem, which is perhaps the biggest issue. Dr. Brown: Correct. That’s the biggest thing. It’s that it’s just putting a Band-Aid on it and that’s why they get so frustrated and really start looking for alternative treatments. Dr. Brown: Zelnorm was, and it was a good drug. We liked it. When it worked, it worked really well. And in fact, not to get off topic, that was when Pimentel first looked at Xifaxan. He was treating people with Xifaxan during the day and Zelnorm at night. That was his regimen because it worked as a phase III contractant. So yes, drugs have been pulled off because of that. When Zelnorm was there, it worked only 10 percent better than placebo, but when it did, it worked well. Dr. Brown: And that’s also one of the drawbacks that these products that are out there are really only slightly better than placebo and some of them can cause a ton of money. Chris Kresser: Right, right. Okay. So, we have a situation where the currently available treatments have been inadequate because they’re not addressing the cause or when they’re attempting to address the cause with rifaximin, they’re just not very effective at doing that when the cause is methane and the symptom is constipation rather than hydrogen and diarrhea, as is the case with IBS-D. So, let’s step back a little bit more and talk about the underlying causes of IBS-C. So if someone has IBS, they have constipation, the conventional paradigm, they’re labeled with this diagnosis, which basically just describes their symptoms, but there’s rarely any investigation into what’s actually happening under the hood, so to speak. So you mentioned SIBO, but what about disruptive gut microbiome in general? Have you found that that’s an issue for these patients? Dr. Brown: I think there’s so much overlap with this and what happens is, is that if somebody comes in and they go see a doctor and they end up maybe seeing even a specialist, like a gastroenterologist like myself, they get an endoscopy, colonoscopy, blood work. 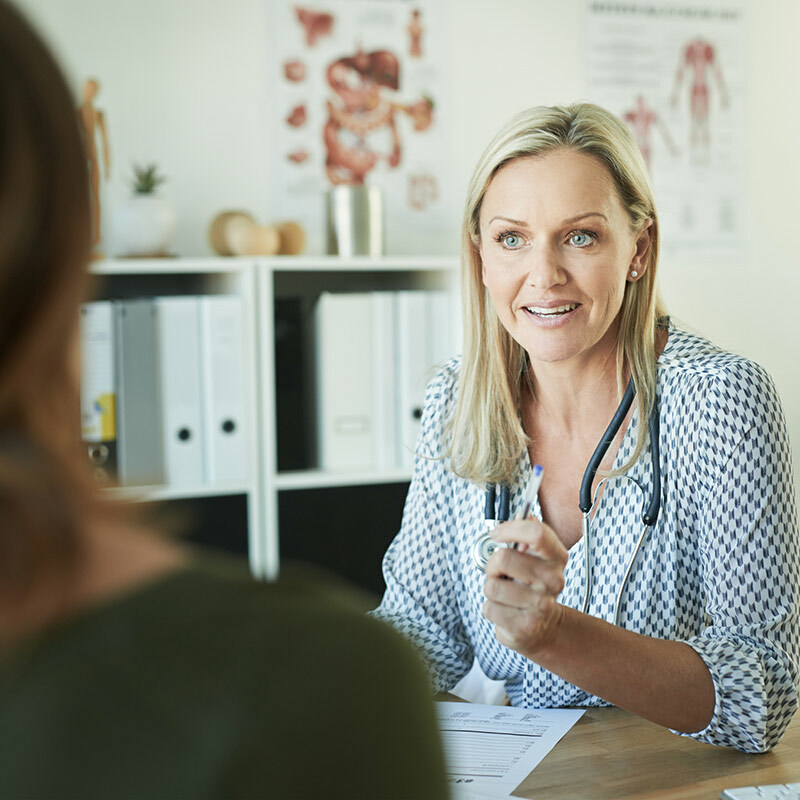 It’s normal and unfortunately, a lot of people get sort of patted on the head and said, “Oh well, you have IBS,” and the problem is, is that’s kind of a trashcan diagnosis. Really, anybody that has abdominal pain, if they got a change in bowel habits, then you qualify as having IBS. And once you get labeled, I think a lot of times doctors stop thinking about what else could be going on, and that’s where some of the functional approaches come in. 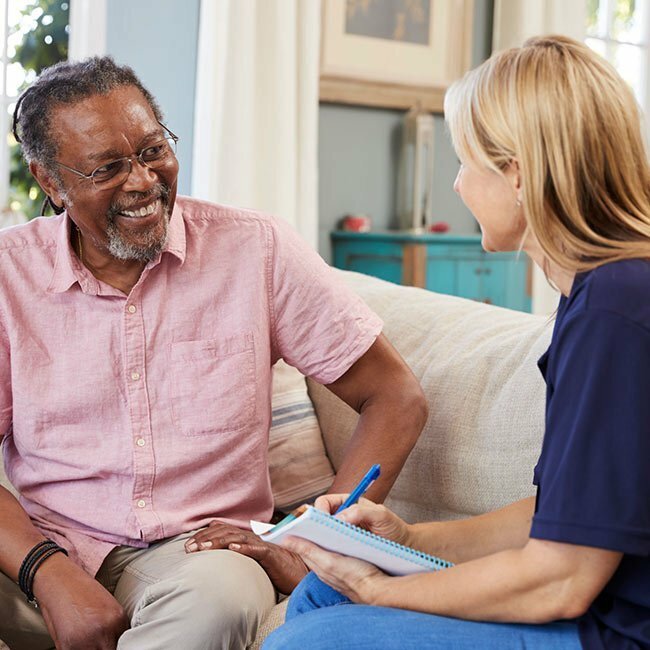 What I tell my patients is that I do see a lot of people that actually improve when we do treat them with Atrantil, and what I tell them is, is that it’s possible that either you had an infection, took antibiotics, even went through a stressful situation and something shocks your small intestine. When that happens, bacteria can start to grow in that area. Then, every time you eat, specifically, starchy foods, then the bacteria will break down the food before you can and then that results in all the bloating and discomfort. Now, the interesting thing is, I’m starting to see this very close link to where you’re going right here, which is the disruption of the microbiome. We now know that even a lot of research is showing that we’re having an overall inflammatory process that happens in the body. You can call it “leaky gut” if you want, you can call it “intestinal permeability.” Whatever you want to label it, we do know that people feel miserable beyond their intestines and that’s where—once you address that, and I said, “Look, it’s not in your head. We don’t just pat you on the head and say this. I really think that this could be going on and this could be leading to these symptoms, not only in your intestines but throughout your whole body. Chris Kresser: Yeah. And that’s why there’s such high comorbidity with IBS and depression, anxiety, all kinds of other health conditions. It’s not because it’s just in their head, it’s that low-grade inflammation that’s happening in the gut that’s affecting it as you would expect it to every part of the body. Dr. Brown: Exactly. I mean, we’re seeing people—and you’ve probably had the same results in the practice of functional medicine, people that have skin issues, once you treat them, certainly if you treat them from their intestines, their skin gets better. People that have restless leg, pelvic floor syndrome, all these other what we’re calling “trashcan diagnoses,” I’m seeing a lot of my patient gets better after we treat them. Chris Kresser: Yeah. It’s really fascinating. I don’t know if you saw this, a recent follow-up from an original study that was done showing 100 percent correlation between acne rosacea and SIBO patients, and then they follow them for several years and found that 100 percent of people who successfully eliminated SIBO had a significant improvement in their rosacea. So, it wasn’t just an association, they actually were able to prove causality there, which is pretty amazing. Dr. Brown: Yeah. I’ve had patients who have been to multiple dermatologists, and I had one patient that was so sweet. She drove in from Austin, which is four hours away just to let me know that she’d suffered from rosacea for about eight years, and after treating her SIBO with Atrantil, that went away and she drove in to tell me so that I could let other dermatologists know. I thought that was fascinating. Chris Kresser: Yeah. So let’s talk a little bit more about rifaximin, which is the drug of choice for SIBO typically at this point, and one of the issues that we’ve already covered is that it’s not very effective for methane-predominant SIBO. But there are some issues too, like costs and insurance coverage and recurrence. Can you talk about those a little bit? Dr. Brown: Sure. So, let’s look at the target studies. We just got Xifaxan approved by the FDA to treat IBS-D. In those studies, really, it was 41 percent effectiveness versus overall versus 31 percent. So we get a 10 percent than placebo. In defense of that in my practice, when I use it on the right person, my results are a little bit better in the IBS-D population. There is still almost 60 percent recurrence rate with these people, so they’re going to come back in and then you did mention that it is very expensive. If you don’t have insurance, it’s essentially cost prohibitive. If you do have insurance, it still can be extremely expensive with copays and such. So the problem is that … okay, let’s back up and talk a little bit, you had mentioned at the very, very beginning you’re telling your listeners about methane production. The issue and the problem that makes it hard to treat SIBO in the first thing is the location of it. It happens to be in the small bowel, but it happens to be intraluminal or inside the intestines, so a lot of the medications we’ve used in the past, metronidazole, sulfa drugs, things like that, those get absorbed so you have this system effect and little effect in the intestines. So Xifaxan, at least, is poorly absorbed, so it does seem to work in the right area, so the first problem is that. Now, the problem that Xifaxan runs into, is that the type of organism that’s actually producing the methane is called an archaebacteria. These are known as methanogens, and they’re actually really cool in the sense that they’re very old organisms. They’re in their own kingdom. They sort of constitute a domain in a kingdom of microorganisms where they don’t even have any cell nucleus or other membrane-bound things like other bacteria. Chris Kresser: Right. They’re not bacteria, they’re not yeast (just to fill people in here) and they’re in their own place here taxonomically. Dr. Brown: Yeah, so it’s interesting in that our modern-day antibiotics work in a way that does not affect archaebacteria. So let’s look at Xifaxan, for instance. Xifaxan actually works by binding to the bacterial RNA polymerase so that it doesn’t let the bacteria produce protein. So I think there was a paper that came out not too long ago where they talked about increased efficacy using guar gum plus Xifaxan. Dr. Brown: And that’s kind of interesting in the sense that the bacteria, the more active they were, the more they were absorbing both the guar gum and the Xifaxan because the Xifaxan had to be gobbled up. Dr. Brown: Yeah. So that’s one of the things about archaebacteria is that it’s not going to do that. And so the exciting thing and one of the reasons why we developed this is that we don’t need the archaebacteria to be eating a whole lot because the way that the quebracho works and the conker tree is that it actually disrupts the methane production of it and it weakens the wall of the archaebacteria. Chris Kresser: Cool. I mean, this is a good segue, let’s talk about Atrantil, and I’m glad that you pronounced it because now I know I was pronouncing it completely incorrectly in the intro. Chris Kresser: Right. Okay. Great. So yeah, tell us a little more about how this fills the gap. You already mentioned two of the ingredients, but let’s start it with what’s in this and then what it does that other treatments are not doing right now. Dr. Brown: So, what we developed is very specifically for this, and so the key to Atrantil is that the molecules work together and they stay intraluminal, meaning, they don’t really get absorbed or they’re very poorly absorbed. So the first ingredient is M. balsamea, which is actually peppermint leaf, so a very, very small amount of it. But we wanted to use the actual leaf instead of the oil because it has polyphenols in it, and the polyphenols are those molecules that are good for you that we find in the Mediterranean diet and such. That calms the area down and then it allows the other two ingredients to do their job. The second ingredient is something you probably never heard of and it’s called quebracho colorado, and what that is, is that it’s a very large flavonoid, which also is a polyphenol, and that comes through the intestine, and what it does is it actually soaks up the hydrogen and absorbs gas, and what’s that going to do is that’s going to starve the archaebacteria. And then it happens to be from the bark of a very old tree that actually has natural defense against fungus and archaeal species, which is why we chose that particular molecule, and so what it does is, as it comes with contact with archaeal species, it weakens the wall. Then the third ingredient, the conker tree, which is known as a saponin, does two things. It actually kills—it’s bactericidal, meaning it kills bacteria—but it very specifically can shut off the enzymatic production of methane from the archaeal species. So to sum it up, we got one ingredient that calms the area, the second one starves the achaebacteria, and the third one shuts off the methane production. Chris Kresser: Makes sense given the pathology of SIBO and IBS, and you’ve done, I think, two papers on this. There it is, Atrantil. If only we have video, people could see that. You published a couple of research on this, with the second one very recently published—which I read, thanks for sending that. One thing, before we dive into the specifics of that, it stuck out in the second paper was that some researchers have suggested that people with IBS have a quality of life that is lower than people with type 2 diabetes and even end-stage kidney failure. I found that actually easy to believe having a lot of experience with IBS patients myself. It didn’t surprise me and yet it’s pretty remarkable when it’s phrased that way. Dr. Brown: I try and reassure my patients. A lot of them come in and they feel embarrassed of the fact that they were told they have a functional disease yet they’re still miserable. And when we compare it to these other disease processes that sound very bad—CHF, congestive heart failure, arthritis, things like that, you can modify your life to adapt to that disease. The problem is, your intestines, once they’re in control, you can’t will it to not have diarrhea or to not bloat, to not pain. So it tends to own you, and that lack of control really wears on you and it’s almost like having chronic pain, and so I really empathize with my patients that have this as I know it’s very real and it’s linked to depression, it’s linked to all of those things. Chris Kresser: I think it’s the number two cause of missing work too, behind the common cold, so this is definitely a serious problem that really wreaks havoc on people’s lives, and I’ve seen that. I’ve seen patients with just a “simple IBS diagnosis” that have pain 9/10 and have taken several trips to the hospital because they thought they were having appendicitis, when it just turned out to be gas pain or something related to IBS. So it’s definitely … it can be a serious problem. Dr. Brown: Oh, for sure, not just for the patient but on the overall cost to our healthcare dollars. They’ve estimated that over 30 billion dollars a year are actually attributed to irritable bowel syndrome. This includes the patient going to the emergency room, getting CAT scan after CAT scan, which we know isn’t good getting, other tests done, doctor shopping, having some frustration. You know, we’re seeing this a lot. I think that we have shown that now you can have this post-infectious IBS, which essentially is SIBO. We have a lot of our veterans coming back, 20 percent of those veterans who get sick in a foreign land come back and then they sort of get shuffled around, and we’re now showing that it’s probably bacterial overgrowth and they get very frustrated and that’s a huge cost on the overall healthcare system, and so there’s a lot more than just calling this as a functional disease. This affects people’s lives, it affects people’s work, and everything—their relationships, all of it. Chris Kresser: So tell us a little bit more about these papers. I think the first one was a clinical trial and the second one was a retrospective analysis. Chris Kresser: Yeah, that is really exciting, and we’ve been using it in our practice and I’ve seen some good results so far. It’s pretty early in the game for us, so we don’t have as much experience yet, but we have definitely seen some improvement and I like the idea, as a functional medicine guy and someone who’s originally trained as an herbalist, before anything else, I’m definitely interested in botanical medicine, and I’ve seen the trial. There was one trial that compared the botanical protocol for SIBO with rifaximin, where the botanical protocol came out as performed as well or better than rifaximin with fewer side effects. And so, we have these amazing plant medicines available to us; we often forget about them. Dr. Brown: Exactly, and I think that was the one out of Pittsburgh there. Yeah, I saw that. The only problem with that one was there was no real regimen for which antibiotics combination to use, I mean, herbal antibiotic combination to use. But I love seeing that an academic center is at least trying it and that’s awesome because a lot of times—and I’m just now really kind of getting involved with my functional medicine society down here, I gave a lecture—I really believe that there is some sort of Venn diagram where we can put this all together. Think of IBS and SIBO in one circle, think of leaky gut in the other, and then think of diet in the third, right there in the middle is the sweet spot. 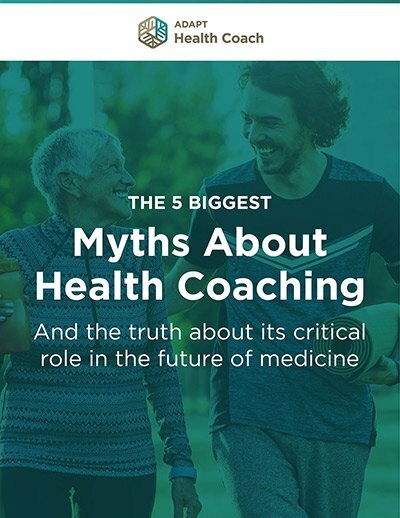 And I had so much fun being in a room full of functional medicine doctors where I gave a 45-minute lecture and we ended up with a two-hour Q&A where half of it was me asking them questions and their experience and what they have success with. I really think that we’re heading in the right direction as far as gut health, bringing a lot of gastroenterologists and MDs, speaking with naturopaths, speaking with dieticians because everybody just wants people to get better. That’s the bottom line. Chris Kresser: Yeah, absolutely. So, a lot of, about 25 percent of my audience actually, are healthcare practitioners of some sort. So for their benefit and for the patients, I’m curious just to know some clinical pearls that you’ve discovered over the last year or longer. I’m not sure how long you were using it before it came available, but what would you tell patients or clinicians who are treating patients some things to be aware of in terms of Atrantil. Like, did the people typically get better right away, or is there a Herxheimer type reaction in a lot of patients where they get a little bit worse initially and have what some colloquially refer to as a “die-off” reaction? What should patients and clinicians expect in terms of using this treatment? Dr. Brown: Absolutely great question. I really kind of put these … I put each patient into two different categories. There are the ones that have mild disease or intermittent disease and they’re going to respond a little bit different, and then those are the ones that come to see me. And you probably get this a lot also, patients come to see you that you may be a second opinion person. Dr. Brown: So by the time they come to see me, I’m really dealing with difficult people. So I’m going to start with that group first. What I have found is that depending on the bacterial load, really, we need to hit them hard and strong, just like we did in the original studies with Xifaxan, and that’s how I explain it to them. I said, I want you to do a course of this. I want you to take two capsules three times a day until you start feeling better, and clinically, I can say that now that we’ve been out for a full year, we’ve treated more than 40,000 people with this countrywide. We’re very open about having people contact us, give their experience. So we’ve sold 40,000 units in a little bit more than a year. We know that those people that have very, very tough-to-treat disease are really going to take 10 to 20 days to really start feeling better. So, 80 percent of those people are really going to start noticing that. Of those, I would say, and I warn all my patients about it, so I tell them that if they start feeling bad or start experiencing a die-off, that’s not necessarily a bad thing. I don’t want you stop. I want you to stick through it. I add a little bit of baby aspirin, which tends to help and they can get through it, and so they get very excited when they start to have that because they kind of feel like something’s happening. In my own practice, I never really saw that very much whenever I would treat people with Xifaxan if they have constipation, so that kind of explains why we’re not having that kind of success with that. So, of these people that do that, what I do is I have them take that course, they get through it and then we’re learning something that most of my patients, they taught me this, they just feel better if they sort of take it as a daily supplement. And the reason is, is that these are just polyphenol molecules. They are the molecules that our body really wants and they almost work like prebiotics then. Then, they go into your colon where the colon breaks them down and makes you feel better. So most of my patients do a course and then they just stay on it, and then as needed, go back up. So that’s really tough to treat. Now, the extreme to treat, it always makes it a tough day when I show up to clinic and somebody’s already holding my product and I’m like, “Oh no, that’s all I had.” Then, we sit down and talk and then we really start going through some different things. And that’s where I have a … I have a great nutritionist that I work with here and she helps me look at it, okay, maybe there’s some food products and things like that, so we do leak testing and things. And as we’re going through it, very surprisingly, I have had some of these patients come back to me and say, “Hey doc, you know what, I increased it to three three times a day and now I’m better.” So we know that there’s the dosing thing. This is a moving target. We’re new, we’re breaking ground, and so just because it doesn’t work, maybe we need to add something else, and I’m talking about the bell curve here way to the right, people that just are struggling with everything. I have treated people with both Xifaxan and Atrantil, I’ve tried putting people on erythromycin at night, and you know, I can maybe get another 10 percent out of it. And so as the type of doctor I am, I tend to just focus on those ones that don’t do well and I almost forget about this whole left of the bell curve that does absolutely awesome on an as-needed basis. So from a clinical standpoint, I actually have severe gluten intolerance, and when I take Atrantil with any type of bread products or gluten products, I have zero issues. Dr. Brown: It’s really interesting, and so that is an angle why I have all these patients taking it as needed. The mechanism of action, I don’t know. I don’t know if we’re binding zonulin. I don’t know if it’s the hydrogen sink that works that way, but I actually have celiac patients that swear that they can, and I’m not telling anybody that has celiac to go out and try this, but they’re the ones that actually say, “Yeah, there’s something else going on here,” and so that’s where we kind of where we start thinking of what else is going on, what’s the future of this. 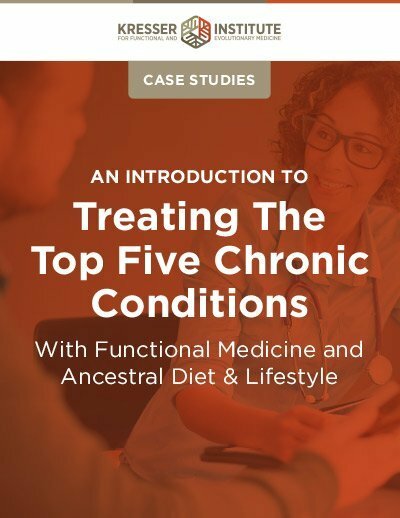 But for the clinicians in the audience, it’s two separate groups, main groups: the ones that need to take it periodically and then sort of take it as an overall digestive health; the ones that need a good round of treatment, 10 to 20 days, sometimes a little bit longer, and then that little subset that I’m going to … well, basically, people like you and myself are trying to figure out, right? Those people that keep getting second opinions and that’s what I really like, when I get feedback from people and they say, “Hey, I took it with barberry and I had a better response.” “Oh, that’s awesome.” We’re trying to figure those stuff out. Chris Kresser: Yeah. Makes sense. Are there any typical symptoms in terms of a die-off reaction that, is there anything that’s typical, like, worsening of constipation or even diarrhea or gas or bloating, or does it just kind of run the gamut? Dr. Brown: I think it runs the gamut, but they will typically have whatever symptoms I tell them the die-off will cause. Chris Kresser: That’s the nocebo effect. Chris Kresser: Very well documented, real deal. Dr. Brown: Yeah. I just want to go as, “If you do have this, it’s a die-off, you may notice some headaches, fever-like, and maybe increased bloating and constipation,” and then for sure it happens. So it’s kind of all over. Dr. Brown: And very interesting, when we first launched one of my patients who was actually on a SIBO form and she said, “Hey, I took this and I got better,” so we jumped right into the most difficult group, great feedback from them. We have 100 percent money back guarantee, I just want to know why. How did you feel? What happened? Because we learn, it’s a learning process. And that particular group that was already on the forum had already failed everything. They kind of whittled themselves down to being really tough people. Those people gave us great feedback on the die-off reaction and what worked and what didn’t. And some of them tried Saccharomyces and that seemed to help a little bit, and some of them took the aspirin, so I love when my patients in the internet community give us feedback. We’re just trying to help people, is the bottom line. Chris Kresser: Absolutely. So what’s next? Do you have any other research projects going on or things you’re thinking about for the future or just continuing that, kind of, learn more about Atrantil in this approach? Chris Kresser: Because you’re a small company. So, thanks so much for taking the time to be with us, Dr. Brown. I’m really grateful that you took a risk and decided to make this product because I’ve had a similar experience to you where IBS-D and hydrogen-predominant SIBO are a lot easier, more straightforward to treat than methane-predominant SIBO, and so it’s really great to have another tool and arsenal not only for us at the California Center for Functional Medicine but all the clinicians on training in the ADAPT framework program and the future clinicians that I hope to train. So, I appreciate your work in this area. Dr. Brown: I do want to say one thing, and I appreciate what you’ve done also, the doctor’s tend to try and treat themselves, so I finally went as a patient to a colleague friend who is a functional medicine doctor and he recommended your book. Dr. Brown: And this is actually before any of this took place, so I had to laugh, I’m like, okay, so I think that the future of autoimmune disease lies in diet and polyphenols and things like that. And looking over that, I need to order your book, and I’m going to do that and figure out what type of Paleo diet I need to be on. Chris Kresser: That’s right, cool. Well, thanks again, Dr. Brown. I look forward to more collaboration in the future. Definitely let us know about the new study because we have an enormous number of patients that we have treated and are treating for SIBO, so we would be definitely interested in participating. Dr. Brown: Absolutely. Thank you so much for your time. Okay everyone, I hope you enjoyed that interview with Dr. Brown. If you’d like to try Atrantil, you can get it in my online store. As I’ve said, we’ve been using it at the California Center for Functional Medicine and had some really good results with some patients, so I definitely think it’s worth a try, and if it does work well for you, I agree with Dr. Brown that taking a lower maintenance dose over a long period of time or indefinitely, it may not be a bad idea especially because of the really high recurrence rates for SIBO. And studies have shown that it can recur anywhere between 40 and 60 percent and up of patients, depending on their particular presentation, and it’s a real challenge clinically to treat these patients because even when we’re successful in getting rid of SIBO, it’ll often come back. So I think having an option that’s just a simple combination of botanicals that patients can take over a long term rather than multiple courses of very expensive drugs that have potential side effects is a much better option in my opinion. So again, thanks for listening, I’ll see you next time. If you’re on social media, you can follow me at twitter.com/chriskresser or facebook.com/KresserInstitute. I post a lot of articles and research that I do throughout the week there that never make it to the blogger podcast, so it’s a great way to stay abreast of the latest developments. Thanks so much for listening. I’ll talk to you next time. I’m getting ready to start taking Atrantil. I read that you should not take a probiotic while on this product. Is this true and if so, why? Chris, I really appreciated this post and heard more about Methane oriented SIBO than Hydrogen. I have been diagnosed with Hydrogen SIBO and have tried the Low FODMAP diet for 1.5 years and this has helped the bloating and constipation (IBS-C), but it has never gone away. I have been on a high alkaline diet which also helped (lots of greens.) I tried the Atrantil for 30 days, taking the full dose but had an increase in Small intestine pain with some relief from constipation but that could also have been from taking Butyrate too, which has definitely helps my BMs in the morning. So I stopped the Antrantil after 30 days and started taking Iberogast. I have always suspected that my SIBO is coming from a poor connection between the small and large intestine with the migrating motor function not working well allowing bacteria to flow from large to small intestines. I just bought Atrantil, I’m planning on taking it as suggested. My question, if I continue taking it as a maintenance dose, how long can be taken? does the body get used to it and loses the effect? how much is too much? I am about to start rifaximan for hydrogen SIBO. It appears the Antrital is for methane SIBO. Please clarify. Very informative discussion. What a great article. Very helpful as I find Xifaxin cause me more issues than the IBS-C itself.